Windows RT and the lack of content have been the two major features that crushed the Surface RT tablet. Numbers have finally come out to how many Microsoft managed to flog in the fourth quarter last year, and even though they are under the valuation Steve Ballmer originally gave, it isn’t a terrible amount. Surface Pro is scheduled to come out in the coming months and this is the tablet everyone believes the Surface should have originally been. The Surface Pro comes with Windows 8, not Windows RT. This means that you can use all your PC applications and the tablet has enough performance to run without lag or overheating. 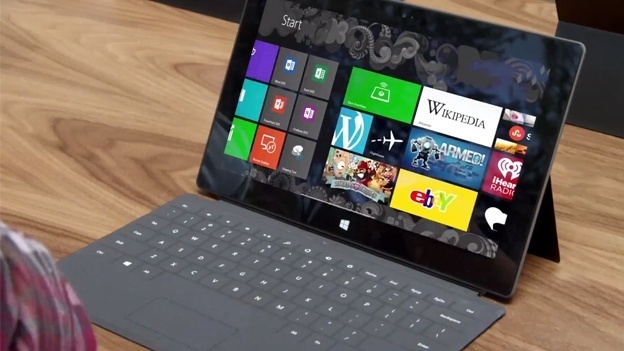 While the Surface RT may be down on its luck, Microsoft could grab some more customers with the new Windows 8 tablet. We suspect that Microsoft may continue to work on tablet only apps for Windows RT and release a new Surface tablet for a cheaper price next year. Microsoft have said over 100 million apps have been downloaded on the Windows Store and this is a valiant number that should push customers and developers onto the platform. Realistically all the Windows Surface RT was lacking was a packed app store. The hardware, design, keyboard and OS all looked great. Some people may find that using Windows without Windows 8 apps to be a little odd, but it is just the same as using an iPad without any Mac OS apps.